I have never tried any Illamasqua products before but have really wanted to so when they launched their sale after Christmas I grabbed a couple of items for just £5 each. I decided to try a nail varnish in Obsess and an illuminator in Poised (which I will do a separate post for). First of all, I love the sleek black packaging that these nail varnishes come in. 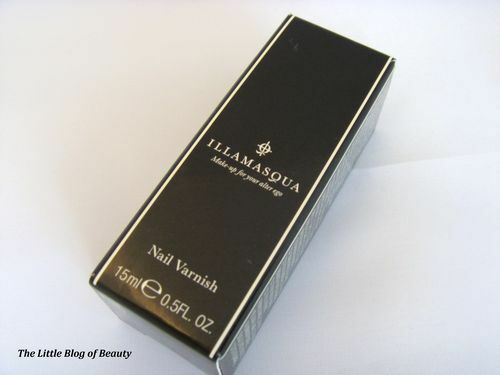 The bottle itself is square with a shiny black lid that just has the Illamasqua logo embossed on the top and Illamasqua written discretly in white on the bottom of one side of the lid. Obsess is described as a bright fuschia pink with a glossy finish and it really is an amazing bright pink colour. The first coat dries kind of matt and you can still see the nail through however a second coat achieves perfect coverage and a fantastic glossy colour. A layer of top coat over the top and this is perfect. This dried really quickly, by the time I had finished painting the last nail on one hand the first nail had dried. I love fast drying nail varnishes because I’m always doing something and just can’t wait around for my nails to take ages to dry so this is a big plus point for me. Unfortunately either my camera or my photography skills are not very good because my photos really do not show the colour properly. However the photo on the Illamasqua website is also not very good. I would recommend checking out Pinterest (or google images) before ordering online to check the colour. Although the photos on Pinterest are a better representation of this colour they still aren’t quite fuschia enough! I have had this on for 48 hours so far and it looks like this has got pretty good staying power. There were a couple of casualties last night when I had a shower but this was because I decided to exfoliate and this chipped a couple of nails. Overall I love this nail varnish and can definately see myself investing in some more in the future. 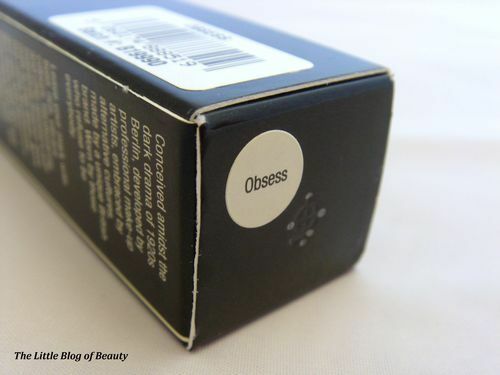 Obsess costs £13.50 (sorry it’s not in the sale anymore) and is available online and in Illamasqua stores.